Most of our clients require advice on retail leases, including office space, store fronts and shopping centre venues. A lease is a written agreement setting out a relationship between the landlord and tenant in respect of the occupation and use of the landlord’s property. Retail leases in Victoria must operate for a minimum of five (5) years; therefore, careful planning and research must be conducted. The primary obligation of the tenant is to pay the rent on time, and the law is far more stringent and complex in comparison to residential tenancies. Before entering into a lease, think carefully about the amount of time and money required to make the business succeed. Signing a lease could be the biggest financial commitment of your life. Never sign a lease without obtaining legal and financial advice from a professional first. Understanding the legal obligations as both the landlord and tenant. The term “commercial lease” is used to describe a lease of commercial property which does not fall under the legislative framework of the Retail Leases Act 2003 (Vic). This usually includes factory space, vacant land, farming land etc. A Joint Venture Agreement involves two or more people or entities collaborating on a project, combining their resources to achieve a set goal and once achieved, they share the output/profit of the project. It is effectively a business agreement in which the parties agree, for a finite time, to develop a new entity and/or assets by contributing equity. It differs from a Partnership Agreement in that a Joint Venture has an end date in mind where the parties will realise the profits and then part ways. Often, a large company can decide to form a Joint Venture with a smaller business in order to quickly acquire critical intellectual property, technology, or resources otherwise hard to obtain, even with plenty of cash at their disposal. A Partnership Agreement is significantly different from a Joint Venture Agreement – although the term “partnership” is used loosely in the business sector, it has a more concise legal definition. A partnership is a business relationship in which the partners are jointly liable for all expenses and legal liabilities undertaken in the project. In a Joint Venture Agreement, the parties are liable for their own debts and share the benefits equally when completed. There are several forms of partnerships, and although they can be verbal, it is always best to make sure that all agreed terms are in writing and are signed by all the parties included in the partnership. A general partnership is one where all partners are equally responsible for the administration of the business, and each party has unlimited liability for the debts and obligations it may incur. This ultimately benefits the organisation as these agreements can bind the shareholders and maintain ongoing share value. A limited partnership is one where the liability of one or more partners for the debts and obligations of the business is limited. A limited partnership consists of one or more partners (whose liability is unlimited) and one or more limited partners (whose liability is limited in proportion to their investment). Another branch of a limited partnership is an incorporated limited partnership, which is a distinctive form of limited partnership and is generally utilised in high-risk venture capital projects. Another collaborative corporate agreement is known as a Shareholder Agreement. Shareholder agreements are contracts between some or all of the shareholders of a company in which they agree to exercise some of their rights as shareholders – these include, but are not limited to: compulsory sell agreements, compulsory buy agreements and compulsory buy/sell agreements. This ultimately benefits the organisation as these agreements can bind the shareholders and maintains ongoing share value. Reason for purchasing the business: it is always helpful to ascertain your long-term goals and evaluate how purchasing the business would assist you to achieve those goals. Type of business you’re planning to buy: ensure that you have adequate market research and are aware of your competitors. Raising the finance to purchase and operate the business: careful assessment of your security, capital and other sources of finance is necessary in order to avoid financial pitfalls. Always consult a financial adviser to address these issues. Ascertain the real reasons why the seller is looking to dispose of the business – this is often quite different to the reasons given to you during the inquiry and negotiation process. There are series of compulsory pre-purchase checks, inspections and factors to consider in order to protect yourself. Sales – what are the patterns and trends? Who is the customer base and current suppliers? Costs – what fixed and variable costs exist including staff costs? Profits – how do you analyse financial records, future cash flow and profitability? Assets – what are the assets, including intellectual property and leasing arrangements? Who owns them and who has a security over them? Liabilities – what are the outstanding debts, refunds and warranties applicable? 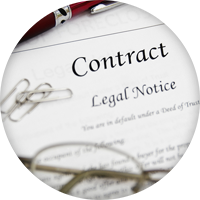 Is the vendor currently subject to any legal action for torts, damages, breach of contract etc? Purchase agreement – what are the terms of the sale? Tax – what are the GST, Capital Gains Tax and stamp duty implications to you? Legal issues – how will you effect a transfer of any leases? What is the best business structure for you to move forward? Privacy protection in Australia is becoming increasingly important. Individuals living in the digital age want to have some control, choice and understanding of how governments and businesses handle their personal information. The most significant reforms since its inception in 1988, the Privacy Act has recently been amended with sweeping changes that will come into effect on the 12th of March 2014. 13 new Australian Privacy Principles will apply uniformly to government and businesses with an annual turnover in excess of $3 million, as well as credit reporting agencies and health service providers. Cash-flow issues can be critical to the survival of your business. The legal system provides for various mechanisms to recover monies owed to you and the course of action you should take depends entirely upon the individual circumstances surrounding your case. When dealing with a debtor company, always obtain director’s guarantees before-hand. Pre-contract searches against individuals for their credit history is also highly recommended in circumstances where you are about to supply new goods/services. 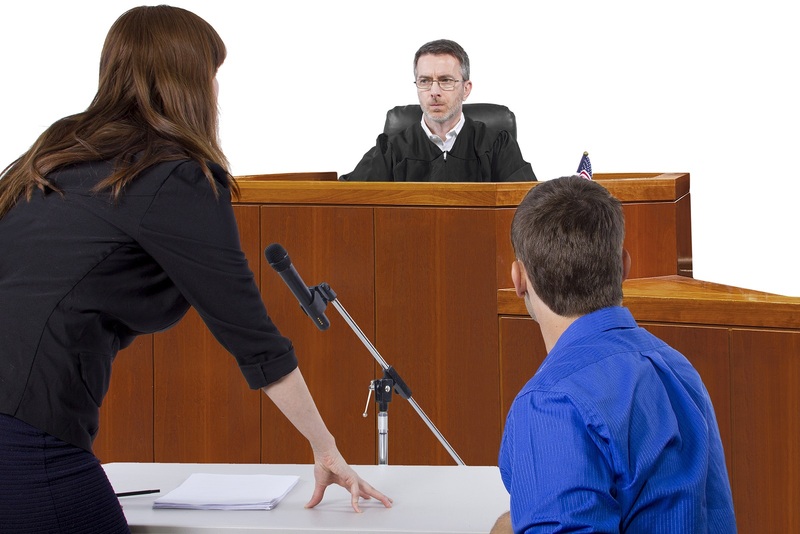 The Magistrates’ Court has jurisdiction to hear civil claims for monies of up to $100,000. It is always advisable to send a written letter of demand before commencing action, however if litigation becomes unavoidable, you must file a “Complaint” which sets out your claim for the debt against the person/company who owes you money. The complaint must then be served personally upon the debtor who then has 21 days to file a defence. If he/she fails to do so, the court can make an order against you then referred to as a “judgment in Default of Defence”. Once you obtain a judgement against a debtor, the next step is to enforce the judgment by having the Sheriff seize and sell property, garnishing the debtor’s wages, applying for bankruptcy against the debtor or in cases of a debtor company, serving a Creditor’s Statutory Demand for Payment and wind up action.